1. The First Fossil Hunters: Paleontology in Greek and Roman Times. Griffins, Centaurs, Cyclopes, and Giants--these fabulous creatures of classical mythology continue to live in the modern imagination through the vivid accounts that have come down to us from the ancient Greeks and Romans. But what if these beings were more than merely fictions? What if monstrous creatures once roamed the earth in the very places where their legends first arose? This is the arresting and original thesis that Adrienne Mayor explores in The First Fossil Hunters. 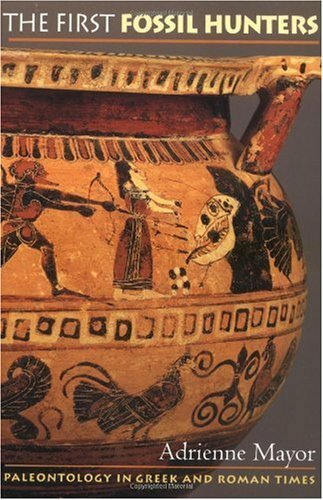 Through careful research and meticulous documentation, she convincingly shows that many of the giants and monsters of myth did have a basis in fact--in the enormous bones of long-extinct species that were once abundant in the lands of the Greeks and Romans. Since fossils have presumably existed for millions of years,why don't we see much paleontological thought from ancient writers? Classics scholar Adrienne Mayor suggests that we can, in fact, learnmuch about the Greek and Roman attitudes toward fossils if we turn toa surprising source of data and theory: their myths. In The FirstFossil Hunters, she explores likely connections between the richfossil beds around the Mediterranean and tales of griffins and giantsoriginating in the classical world. Striking similarities existbetween the Protoceratops skeletons of the Gobi Desert and thelegends of the gold-hoarding griffin told by nomadic people of theregion, and the fossilized remains of giant Miocene mammals could betaken for the heroes and monsters of earlier times. Mayor makes hercase well, but, as with all interpretive science, the arguments areinconclusive. Still, her novel reading of ancient myth--and hercritique of the modern scientific mythology that seeks to explain thelack of classical paleontological thinking--is compelling andthought-provoking. There certainly seemed to be a fact void for Ms. Mayor to try to fill; griffin depictions from the 17th century B.C. at Knossos, through the Medieval period-and in Greek, Scynthian, Roman and Asian art and cultures were surprisingly consistent. And there was of course no question that the creatures depicted were mythological so..
At first very excited.Too much repetition and found some appelations peculiar. Would like to have seen some classics scholars consulted. And not one American paleontologist cited - unless I just mised it.Not much talk about migration theories.the ancient Greeks understood even more than she gives them credit for - check out myths as well as legends - there's a reason for myth. Today, when a spectacular fossil is unearthed, it ends up in a museum. Our ancestors must have found stone bones, too, but they didn't have museums. So they put them in temples. And spun yarns about them. It should not have been surprising that, once someone thought to ransack the ancient world for evidence, so much of it remains. We have already seen, in other fields, how much can be reconstructed from even the scraps of inscriptions that have been accumulated so assiduously by, for the most part, German philologists. And we already knew that the Greeks, above all other premodern people, asked questions about what they found in the world around them. It is a bit of a surprise, if Adrienne Mayor is correct, that the model of the griffin should be dinosaur fossils found as far away as Central Asia. That was a very, very long way from Greece. Less surprising, perhaps, that fake fossils were also in evidence. Probably none of the fossils collected so long ago remains, but Adrienne Mayor finds a few representations of them. The most convincing is a skull painted on a vase. Her treatment is very complete, with an appendix of apparent references to fossils in old texts, such as a passing reference in Cicero to theft of fossils from a temple. There is room for much speculation in this scrappy material, and Mayor makes the most of it. Altogether, 'The First Fossil Hunters' is a clever, entertaining, imaginative and curious book. Two millennia of condemnation of "pagan" mythology have obscured the value ancient legends contributed to knowledge.Being members of this world instead of longing for the next, our ancient ancestors were keen observers of Nature.Among their interests were "mythical monsters".The Griffin - a combination of lion and eagle; the Minotaur - a man with a bull's head; or the Cyclops - a man with but one eye.These familiar characters emerged from ancient Mediterranean societies and transmitted down to our own time.Lost in the transmission was the notion that there might be a factual basis for such creatures.Adrienne Mayor wants to clarify the origins of mythological creatures.In this excellent study, she challenges fixed thinking about myths' origins. The Mediterranean is a dynamic place.Continental plates collide, pushing up mountains, diverting rivers and causing sea basins to flood or become dry.The constantly changing conditions reveal long buried fossil sites.Mayor builds a vivid picture of how the ancient Greeks, Egyptians and Romans might encounter these strange artefacts and attempt to make sense of them.What would these bizarre skulls, teeth or thigh bones mean to them?They were aware of anatomy and didn't mistake a leg bone for a vertebrae.Their reconstructions of the artefacts were reasonably accurate.They "knew" the fossils represented once-living creatures.Not having mastered the scientific discipline of today, they "interpreted" the exposed fossils in human terms - stories of mighty people, heroic deeds and lost worlds.Mayor argues that fossils led the ancients to understand life wasn't fixed.Creatures and humans alike had once lived in ancient times, then died out.Extinction was a real possibility - it had already happened. Combining photographs and expressive line drawings to supplement her text, Mayor offers vivid evidence of the source for many mythical creatures.When bone assemblages of several species jumbled together were found, it was only logical to assume a single creature was once built around them.Hence, we are told of bull-headed men, or lions with an eagle's beak.We can see how the image of a bizarre creature emerging from a cave is actually a dinosaur fossil protruding from an eroding cliff.The view on a vase painting depicts this scene with superb clarity.With no idea of the Earth's true age, it was easy to make these judgements.Mythology is built from human experience, so it was fitting to give these creatures human characteristics. Have you ever wondered what it's really like to dig for dinosaur bones on Alaska's North Slope?To excavate cave fossils high in the mountains of Colorado?To hunt for trilobites in the Utah desert?To collect fossil urchins from cliffs on Australia's seashore? .......and by "lighter" I don't necessarily mean funny, although the book made me smile at times. It's refreshing to find a non-children's book on fossil hunting that is well written and entertaining in an easy going way. 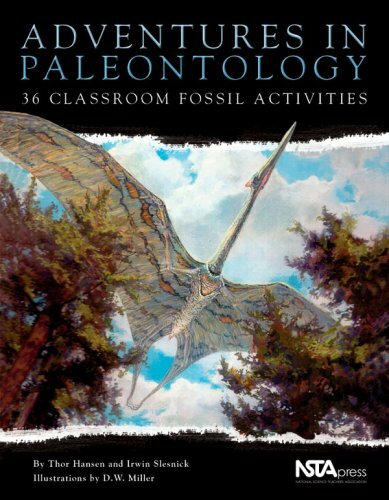 FIELD ADVENTURES IN PALEONTOLOGY is a quick and enjoyable read. It chronicles Lynne Clos's fossil hunting trips in an-easy-to-read yet informative style that makes you feel as if you went along. If you want to read about the human side of paleontology written in a diary style and format...this is one book that won't disappoint. It won't help you identify that strange fossil that you found but it will enable you to pass a pleasant evening. Hard to review because I gave it as a gift to my grandson who is very interested in this subject although he's just 12 but very mature for his age.I trust that he'll enjoy the book - hard to know.The book seemed very good as I looked it over. Field Adventures is captivating and easy to read! Urumaco and Venezuelan Paleontology offers a synthesis of the paleontological record of Venezuela, including new discoveries on stratigraphy, paleobotany, fossil invertebrates, and vertebrates. Besides providing a critical summary of the record of decapods, fishes, crocodiles, turtles, rodents, armadillos, and ungulates, several chapters introduce new information on the distribution and paleobiology of groups not previously studied in this part of the world. Given its position in the northern neotropics, close to the Panamanian land bridge, Venezuela is a key location for understanding faunal exchanges between the Americas in the recent geological past. 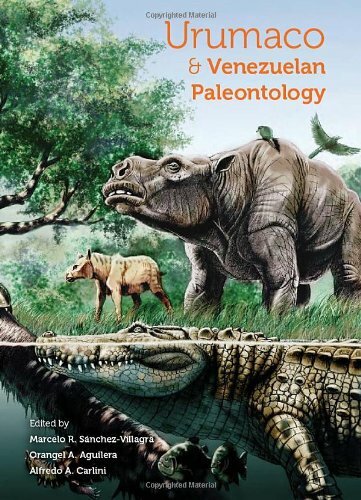 The book reviews the recent paleobotanical and vertebrate fossil record of the region, provides an understanding of Pleistocene climatic change and biogeography for the last few thousand years, and integrates new information with summaries of Spanish language works on Venezuelan geology and paleontology. I'm finally beginning to recognize some of these forms. instead of having to pick it up after the fact. and how they got where we find them today. Geology and evolution form the overall picture. The devil is in the detail which this book lacks, like where coal, oil and mineral fit in? This was requested by our son so will receive it as a Christmas gift which I am sure he will enjoy a lot. Fossils retain a mystique unmatched by most other natural wonders.They provide a window into the deep past and a hint of life's immense variety.Richard Fortey, whose reputation is built on a long career studying trilobite fossils, provides a richly illustrated summary of the prizes of paleontology.Carefully written to show the science behind fossil hunting, he avidly encourages amateurs with this book also.He explains how fossils were the key element in establishing the science of geology by William Smith.In later years they would be the buttress supporting Darwin's idea of evolution by natural selection.In the 20th Century these silent witnesses would provide the finishing touches on the concept of plate tectonics. 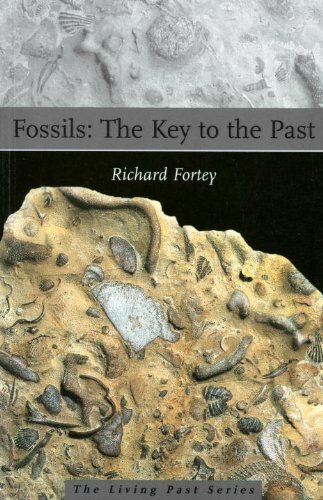 Fortey has arranged this book well, with different animal and plant fossils and images carefully categorised, described and imaged.He guides the novice through the process of recognizing and retrieving fossils from the various rock types.Shales, as the product of shallow seas are likely rocks for many fossils allow easy retrieval.However, Fortey notes the specimen will likely be shattered through geologic processes.Limestone, on the other hand, hides its treasures well, but lucky finds may be dazzling in completeness or detail.He explains the necessity of careful record location and condition of finds.After all, careful records led to the understanding that western and eastern Newfoundland began their continental careers far apart.Millions of years ago, eastern Newfoundland was far across the equator near the South Pole.Fossil records traced its movement until it merged with the western side some time later. Fortey's book is stunningly illustrated, well worth the price for that aspect alone.Large, clear photographs, line drawings and maps support his animated writing style.His enthusiasm for his science sparkles every page.You become anxious to join his next expedition or set out on your own at the first opportunity.His warnings about seaside drenchings, icy winds or smashed fingernails seem inconsequential compared to the possibility of obtaining one of nature's true treasures.Gemstones seem dull and faded next to an object that once lived on a sea bottom or ancient prairie.His final chapters on finding and preparing fossils are a welcome addition.With the dual purpose of presenting beauty with education, this book is of value to anyone wishing to learn about the life of the past. Written primarily for the avid amateur and beginning paleontologist, What Your Fossils Can Tell You offers both experienced and novice fossil hunters and collectors the information needed to correctly identify and interpret the significance of their discoveries. 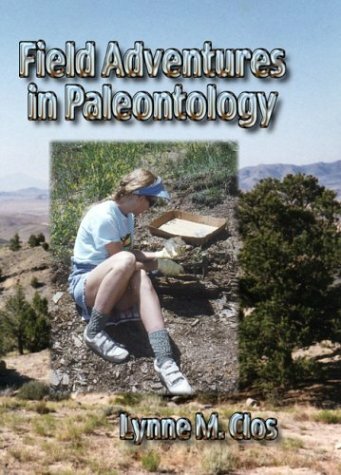 Professionals in the field may also use this book as a pictorial resource to assist them in bridging the fields of pathology and archaeology as they relate to paleontology. Amateur fossil hunters are presented with the tools they need to recognize significant finds and knowledge of how to collect vertebrate fossils responsibly and legally. Robert Sinibaldi, in informal collaboration with a number of fossil experts, has compiled materials with a wide appeal. He explains many of the complex bumps, grooves, markings, and other anomalies that occur on fossil bones and teeth. A wealth of photographs helps readers visually identify these features and apply related concepts to their personal collections. Along with many common specimens, scores of unique fossil items appear here in print for the first time. New Look! Relaunched with new jackets and 8 pages of new text! 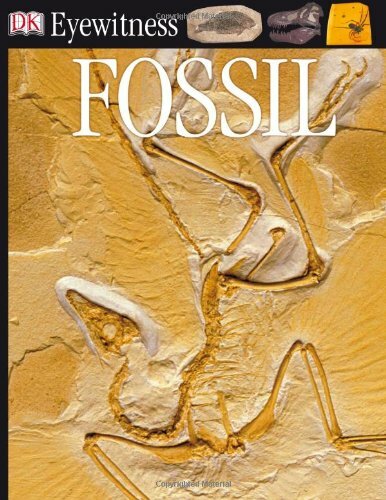 As I thumbed through this book I was reminded of how interesting the world of fossils really is.I think this will put the evolving earth into a timeline that he can understand. I purchased this book for my niece's 10th birthday.She loved it but had already received one just like it.She couldn't stop talking about how great it was and was looking at the list on the back of other books in the series that she could get in exchange for this.Perfect for the kid who is interested in science and the outdoors. I'm a teacher and I find the Eyewitness books highly educational.I like the way the concepts are presented in a form without backgrounds.This gives clear facts to the reader without over taxing the attention span.The books are highly informative, presenting difficult concepts in comprehendable chunks that stimulate interest.I have almost the whole collection for my own children and they LOVE them! Florida is one of the finest places to hunt fossils in North America. For 50 million years Florida was home to hordes of strange and wonderful animals. Their remains accumulated in rivers, springs, and oceans. Today fossilized bones and teeth wash up along streams, banks, and beaches and lie in limerock quarries. Learn how and where to hunt fossils--with maps, means of identification, and the history of these fossil treasures. Complete, accurate, and fully illustrated, including an outstanding identification section and three original paintings by Christopher Kreider. This was a good book. Easy to read with good points. If you are interested in fossils in Florida, this book is a definite must read. 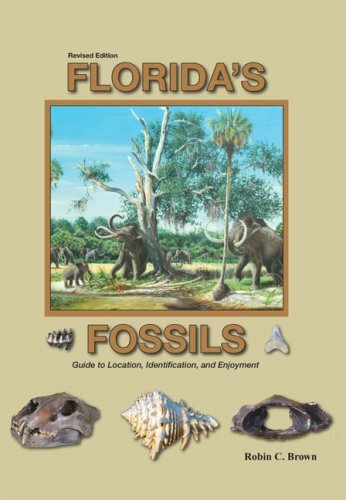 Best fossilreference book for Florida! The Florida Fossils book is the best book on fossils and sharks teeth available for both beginner and experienced collectors, and for all ages from children to adult.It is very informative for anyone wanting to explore Florida and it's natural wonders, enabling you to then know something about what you've found and the information to go even farther with your discoveries.It's the one I have recommended to anyone I meet out and about in Florida when I'm out exploring and we have gifted it to our daughter and granddaughters. Fabulous Resource for a Florida Fossil Addict! The Book was very detailed and informative. It covered the authors' many tips from many years of experiance in the finding some amazing fossils. The books gives information on how to join clubs/groups and ideas for places to search and how to go about it, including dangers of searching in some areas. "How to Meet and Greet Fossils and Their Ilk"
"Discovering Fossils: How to Find and Identify Remains of the Prehistoric Past", by Frank A. Garcia & Donald S. Miller, Stackpole Books, PA 1998, ISBN: 978-0-8117-2800-3, PB 190/212 pgs. Index 2 pgs.Inveiglements include profusely illustrated scientific drawings of flora & fauna by Jasper Burns. 9" x6". This book's principle elements are stated in its subtitle, and this sets it apart from most treatises on fossils and paleontology. The dedication and professionalism of senior author Garcia is documented by his personal discovery of 30 previously undiscovered species of prehistoric animals.The illustrated text with accompanying tabulations of fossil Exhibits, Shows, Clubs, & collecting sites is very informative and nicely complements chapters on scientific terminologies of time, jargon, finding fossils, law, ethics, etiquette & useful tips on buying and selling fossils. 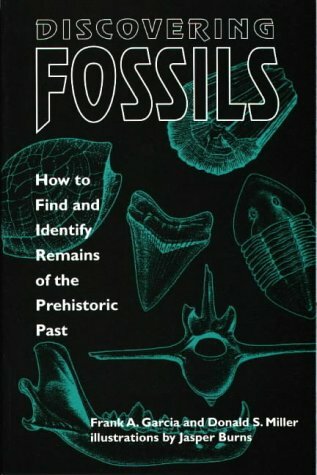 For a first book encompassing this rapidly growing hobby (and business) of paleontology, "Discovering Fossils" is highly recommended.I wondered about omission of .COM references but, perhaps, they are less reliable and too ephemeral compared to the printed word - no problem. Frank Garcia is not what anyone could call a conventional hide bound paleontologist. Garcia writes with the flair of an impromptu comedian and when it comes to paleontology he has a child like wonder of the natural world that is very infectious. 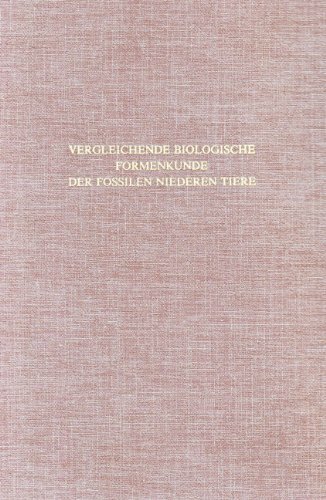 While this work is a fairly basic guide to fossil collecting it covers several different areas and numerous types of fossils that are relatively common. If your planning an outing with your family and kids, (or in my case grandkids), and you & they have an interest in the hobby, this is an excellent, informative guide. Many relatively easy to find types of fossils are shown. The last thing Mom or Dad need is to take the kids collecting and not find anything. This book covers all the basics, has tips for new collectors and is entertaining besides. I don't know if Frank still does site trips any more but if he does, I highly recommend going on one. You will learn more about practical paleontology in two days with Frank Garcia than you will sitting in a class room for a semester. Whether its spotting a rare valuable sharks tooth at 20 yards in Bone Valley or while moving at a dead run pointing out a 4/5's buried saber cat skull in Nebraska, Frank has bionic eyes. A word of caution, never, ever let him show you a mastodon. It was an OK read, however, I would have liked more stories about her job instead of her. This is a really fun read if you are interested in fossils.It was almost a good as going to look for fossils yourself. This is a very interesting book if you are a fossil collector.There is a a lot of information, but it is fun to read.Once I started reading, I couldn't put it down.It was almost as much fun as going fossil collecting myself.The pictures by Ray Troll are fantastic and beautiful. The book Cruisin the Fossil Highway and the Fossil Highway Map took a great deal of time and research. The book is supurb and tells of the geological features and fossils found during the author's trip through several Western States. A very interesting read. Also the Fossil Map, is excellent, as it picutures all the fossils found in the various states. 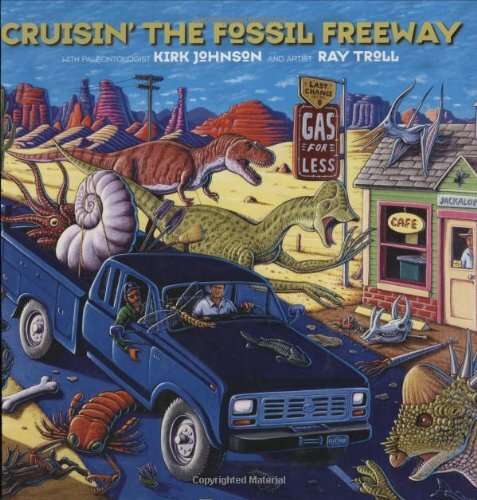 This book is a rather uneasy mixture of science (geology and paleontology) and travelogue as the author, Kirk Johnson, and the illustrator, Ray Troll, spend time travelling through Colorado, Montana, Utah, Wyoming and elsewhere visiting well-known fossil sites, observing the geology, and digging up more than a few fossils of their own.The stories are fun and interesting, the photos are great, and the illustrations are wonderful. But somehow the whole is less than the sum of the parts.There wasn't enough specific information about the geology or paleontology to really let you learn about these things.You certainly couldn't take this book with you into the field and find the appropriate fossil sites, identify the geological layers, or identify a fossil.I will say, however, that Dr. Johnson gives the best explanation I've ever read for how to spot dinosaur tracks while driving at 65 mph down the highway. I found it increasingly irritating as I read the book that the author repeatedly noted that paleontologists use GPS coordinates to find good sites, but then he doesn't give any of these coordinates - even for commercial or public sites.Vague directions are indicated for some sites, but no detailed maps or driving instructions.Also missing is a list of suggested books for further reading.This is most trying, because reading the book makes you want to take a field trip or at least read some more about this great stuff. Ray Troll's illustration are lots of fun and deserve to be on t-shirts everywhere that people care about fossils and dinosaurs (and cheeseburgers). For anyone who lives in the Western US and loves fossils, this is a wonderful adventure.Kirk Johnson is knowledgeable and knows how to have fun. Ray Troll's illustrations are cheerful and bright and just psychedelic enough to captivate people of all ages. Most fossil/paleo books are dry, but this one rocks! Southern California’s Anza-Borrego Desert State Park® is a vast, mostly arid desert, but the ancient landscapes of Anza-Borrego were richly populated riparian forests and savanna. Before that, it held a tropical inland ocean teeming with marine life. Today’s eroded badlands provide North America’s most continuous history of life for most of the last 7 million years—one of the richest, most varied fossil records of its time in the western hemisphere—opening windows onto the region's long-vanished past.Anza-Borrego’s record contains more than 550 types of fossil plants and animals, ranging from microscopic pollen and water fleas to walrus bones and mammoth skeletons, which have been the focus of ongoing research, study, and interpretation since the mid-1850s. The results of the past several decades of study by leading researchers from across the nation can now be seen in this comprehensive work, a compilation of 23 authors each with his own specialty.Early chapters explore background themes and concepts, starting with the Imperial Sea episode. Central chapters present the real stars of the story—individual groups of animals. The bestiary reads like a Who's-Who of many of the most unique fossil vertebrates on earth—bathtub-sized tortoises, the sabertooth cat, giant ground sloths, the giant short-faced bear, the largest known mammoth, a giant camel, and the largest bird ever to fly northern hemisphere skies. Closing chapters discuss fossil footprints, intercontinental connections, and paleoclimates and environmental change in the Anza-Borrego desert region. The book is thorough on the subject.It contains mainly technical information and can get you bogged down a little bit.It is a good source of information for fossil buffs.It met my expectations on information on the fossils of Anza-Borrego. but survived in Asia and Africa is what this book brings home to me. The connection of the fossil record with reconstructions of long dead ecologies is very well presented here. Climatic changes seem to have been more drastic in the new world than in the old. Some species we only know existed from fossil reconstructions and we only have these artist renderings to be able to picture what they actually looked like. As robust as camels and horses are, it had to be extreme conditions that led to their disappearing. Only by such studies as in this book can young reading get a feel for what is now dust and rock, but once was a living environment. Knowledgeably compiled and co-edited by George T. Jefferson (District Paleontologist, Colorado Desert District, California State Parks) and Lowell Lindsay (CEO and Publisher, Sunbelt Publications, San Diego, California), Fossil Treasures Of The Anza-Borrego Desert is an impressively informative collection enhanced with over 300 photographs, maps, tables, appendices, illustrations, and diagrams with useful, helpful and informative information on California's awe-inspiring Anza-Borrego State Park. Introducing the reader to studies from twenty-three leading paleontologists and experts, Fossil Treasures Of The Anza~Borrego Desert educates and elaborates the many intricacies and interesting images of the intriguing desert terrain. 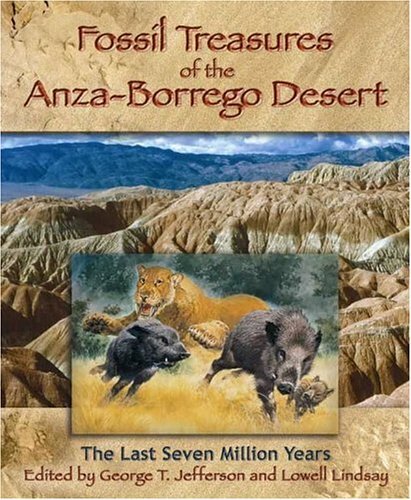 An invaluable addition to academic and community library paleontology collections, Fossil Treasures Of The Anza~Borrego Desert is very strongly recommended to scholarship as well as non-specialist general readers with an interest in paleontology. This book has some complicated stuff in it, but it is made understandable for the non-scientist.Really fabulous illustrations help you imagine what it was like at Anza-Borrego a million years ago.If you have specific questions about the Pleistocene life in the park, you can just read a specific chapter.Or, you can get a complete overview reading the whole book.Slightly challenging for the non-scientist, but understandable and enjoyable.I'd recommend it for anyone who is interested in fossils, mammoths, or the Pleistocene scene. The book is concise, direct and easy for the layman to read and understand.It has beautiful illustrations and answers most of the questions anyone who is interested in the recent (the past 7 million years) history of animal life in the U.S. could have. The book covers everything from invertebrates (small sea life with no backbone) to mammoths.It lets the reader know when and where many of these animals have been found and gives a good description.I'd rate the book five stars. This book was helpful for me because of the life-like illustrations.While I have only visited one site discussed by the author, his drawings have been a great comparison point against the typical fossil guides' pictures. The author's interest in his hobby is contagious - I recommend you read the book and share his passion. One great discovery pointed to hundreds more. Before leaving Germany for my next job at Langley Air Force Base, VA, I discovered Jasper Burns' book and ordered it from Amazon.com (THE Bookstore that linked us to home while away and connects us to the world now that weare back).Suffice it to say, I was biting at the bit to see if Mr. Burns'words would bear fruit, or more importantly, fossils.In short, hislocation directions and pictures of fossils to be found there were spot on. 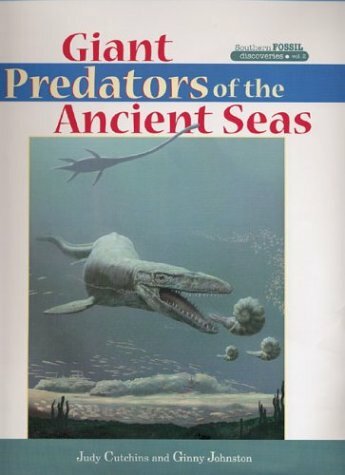 If they were listed in the book, I have found and added them to mycollection i.e sharks teeth (some as large as 6 inches),whale vertebrae,shells, etc...An excellent guide and reference!If you live on or planto visit the Mid Atlantic Coast and enjoy spending time searching andfinding fossils, this is THE book to own.Thank you Mr. Burns and thankyou Amazon. 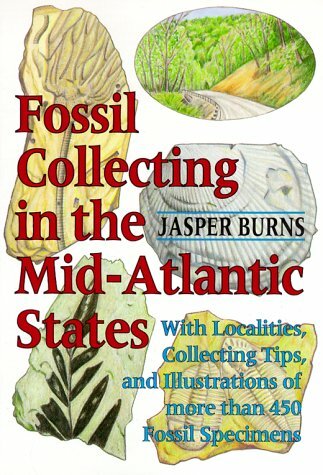 One of the few books that reveals actual fossil hunting locations--for good reason. Because of frequent visiting, some of these sites have experienced overcollecting or damage to the natural surroundings (undermining rock faces, etc.). If visiting, please be sensitive to theenvironment and the site's neighbors. Best to stick to quarries or bighighway cuts, where environmental impact is not a factor. These happened tobe more productive fossil-wise than the more scenic locations, anyway, soeveryone wins! A productive guide to fossil hunting. One of the best guides to invertebrate fossils hunting I have read. Drawing from his experience in the Appalacian region (mainly West Virginiaand Virginia), the author offers many fine sites which are accesible to the professional and amature alike. Was well worth the 8 hour drivefrom NewJersey and the cost of the book ! Includes excellent annotated referencesas well. A great guide for finding fossils! Stephen Louis Brusatte (b. April 24, 1984 in Ottawa, Illinois), is a young American paleontologist. He is the author of the 2002 book Stately Fossils: A Comprehensive Look at the State Fossils and Other Official Fossils. Brusatte has additionally authored several scientific papers as well as over 100 popular articles for magazines such as Fossil News, Dino Press, Dinosaur World, and Prehistoric Times. Upon completion of a B.S. in geophysical sciences at the University of Chicago in 2006, Brusatte was awarded a Marshall Scholarship to study at the University of Bristol in the United Kingdom. steve i heard you are going to be studying in the united kingdom of great britian and northern ireland for the next two years.... something i aspire to do. If you have a moment to sit down and talk, that would be great. Stately fossils is highly informative and captivating!!!!! When purchasing the book Stately Fossils, I imagined it to be a great book, but surely not as wonderful as it turned out to be.Both highly informative and largely captivating, this is a sure-read for anyone out there looking for a good book.Written in a style that both appeals to fossils enthusiasts and those just briefing the subject, this learning tool is a gift that you can't stop reading!! !Especially interesting is the foreword, in which we learn of the incredible story of the author and his brother. 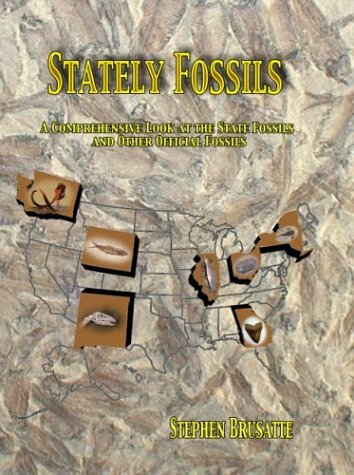 Stately Fossils is a book that even a total amateur or student can enjoy, while covering the subject of state fossils, state dinosaurs, and state stones and gems that happen to be fossils in a lot of detail. Some states aren't included but that is because they do not have official fossils. You will learn what the fossil looks like (there are pictures of every one, usually photographs but also some nice drawings), how, when, and where it lived, what the local environment was at the time, the history of its discovery, and the path it took in becoming a state symbol. The text is easy to read even for someone with little background in paleontology - that is, it is written in plain English without a lot of jargon - but at the same time the author does not 'talk down' to you as if you don't even know what a fossil is. Teachers needing a resource for information on their state fossils will love this book with its more than 300 references to more information. 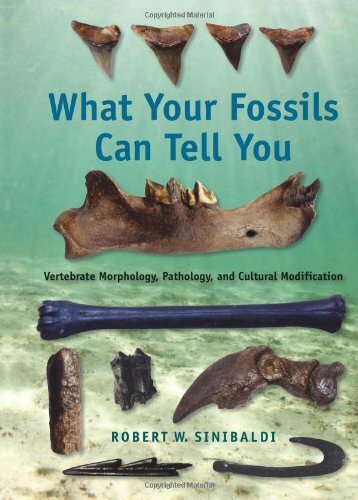 There is even a companion Web site, statefossils.com, where you can read the highlights of the book before deciding to buy a copy. I have not found any other resource which brings all this information together in a well-organized, interesting, and informative manner.